The series premiere episode will kick off the six-week music event with chart toppers from 1980-1985, with performances by Pitbull, REO Speedwagon, Ray Parker, Jr., Jason Derulo, Kenny Loggins, Kim Carnes, Rick Springfield and Kool & The Gang. The episode will showcase some of the greatest hits from the early '80s, including a duet with REO Speedwagon and Pitbull, and a special tribute to Michael Jackson performed by Jason Derulo. 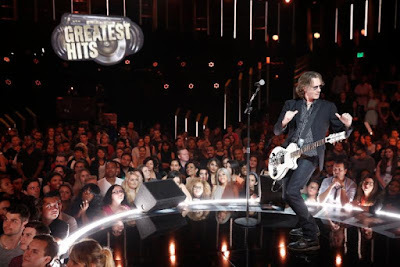 Hosted by actor and comedian Arsenio Hall and country music star Kelsea Ballerini, "Greatest Hits" will air June 30 9:00 p.m. EDT on the ABC Television Network.